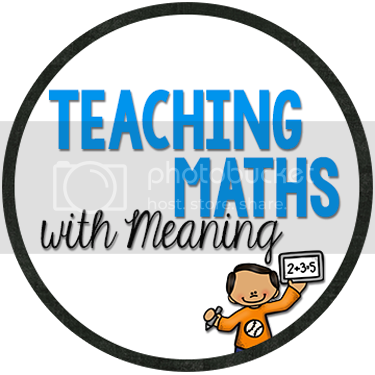 A few years ago, we had a Maths Guru come into our school - he had a simply way to play maths games without making lots of noise! 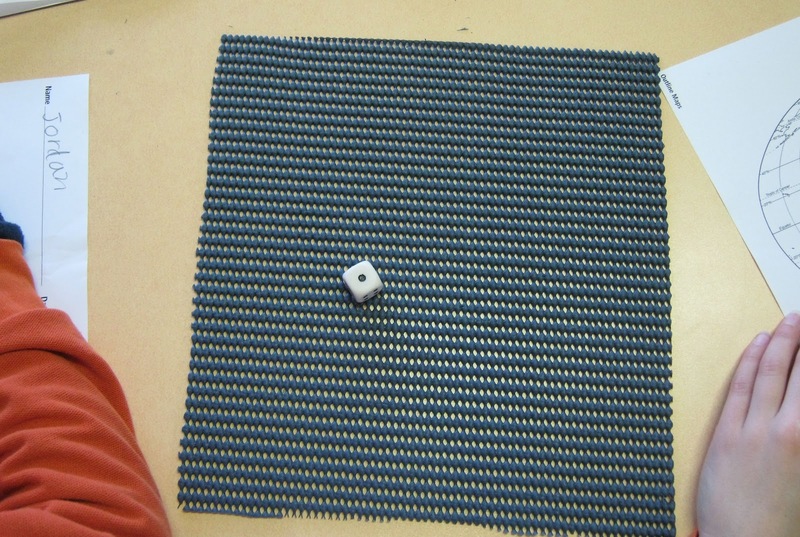 Buy grip mats and cut them to size. 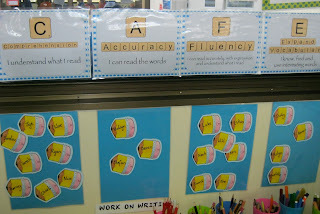 I use one between two and whenever we need them, I just draw a bird-eye view of what the children's tables should look like on the board, they collect them and use them! Try it yourself - they reduce so much noise!!! 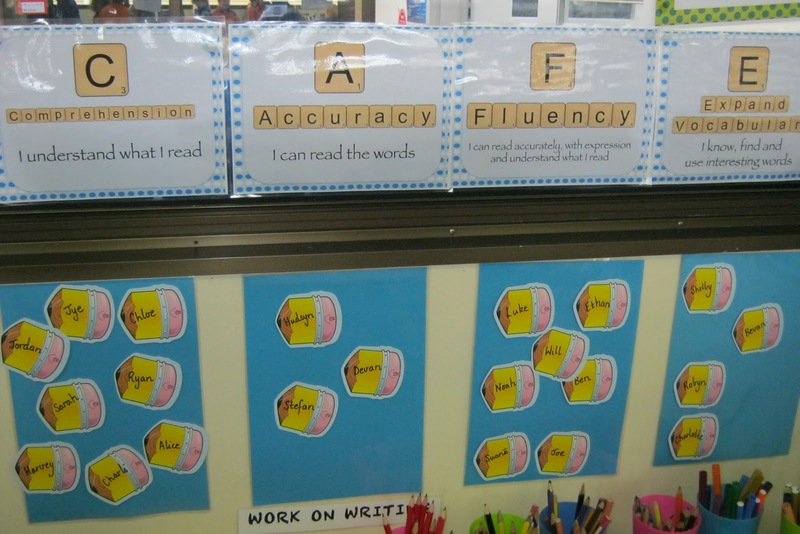 Here are my new CAFE posters - I don't have a lot of room in my classroom other than windows so they are here for now - I think I am ready to rearrange all my classroom displays. I LOVE the blue with the scrabble letters! 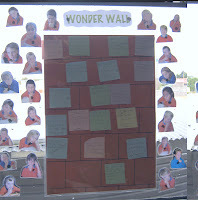 And while I was taking photos, I thought I would share my wonder wall, again on a window. 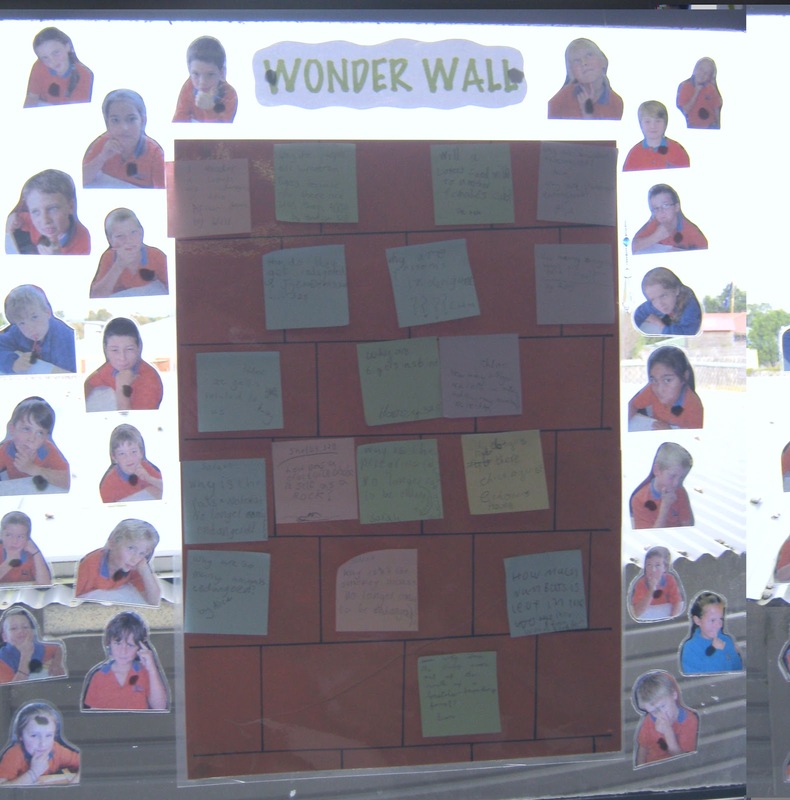 We use it throughout our units of inquiry (themes) using post-it notes on the brick wall. The pictures of the children are their "thinking pictures". Yes! I used to do the same thing! 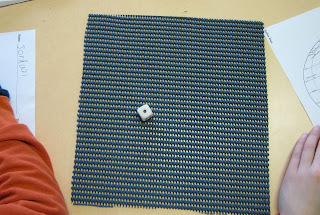 The table is heaps easier - we have it if we roll off the mat, then we roll again! Can you please give me the link to your blog - your link above doesn't seem to work! Thanks! Thanks! It doesn't seem to link correctly? Not sure...... I usually just type my whole address out! There must be an easy way - I'll let you know if I figure it out!